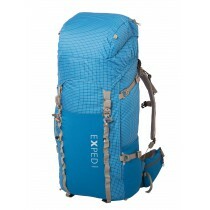 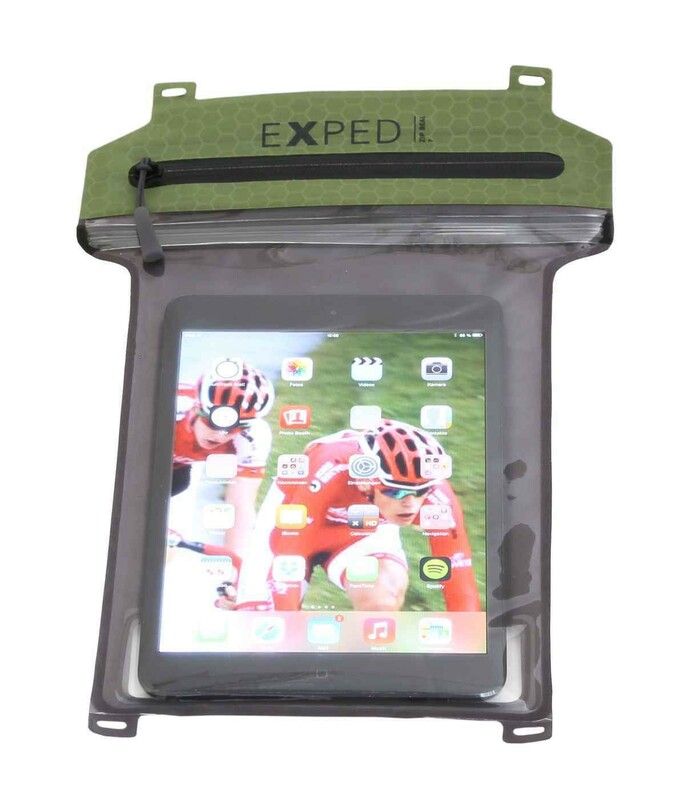 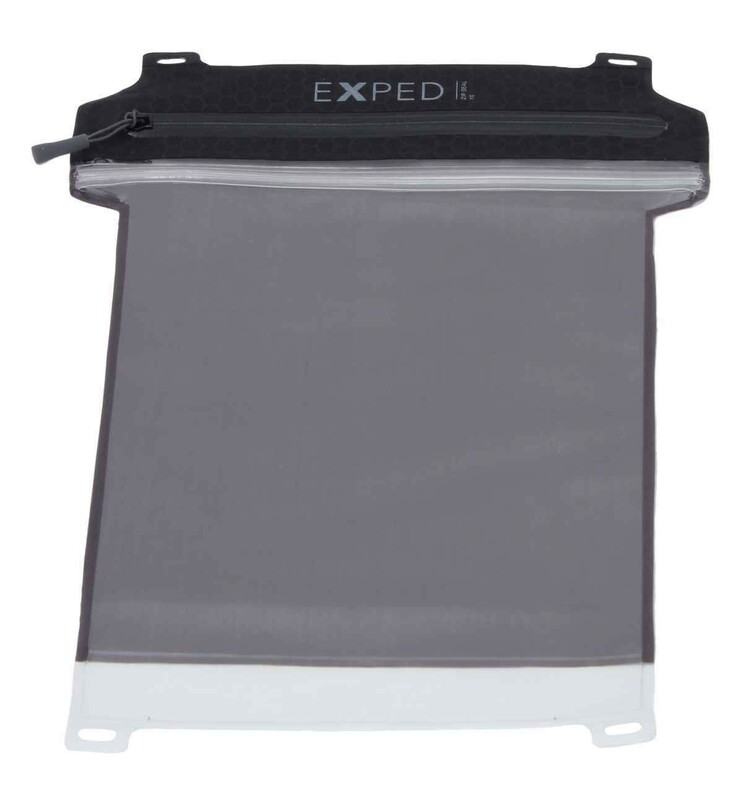 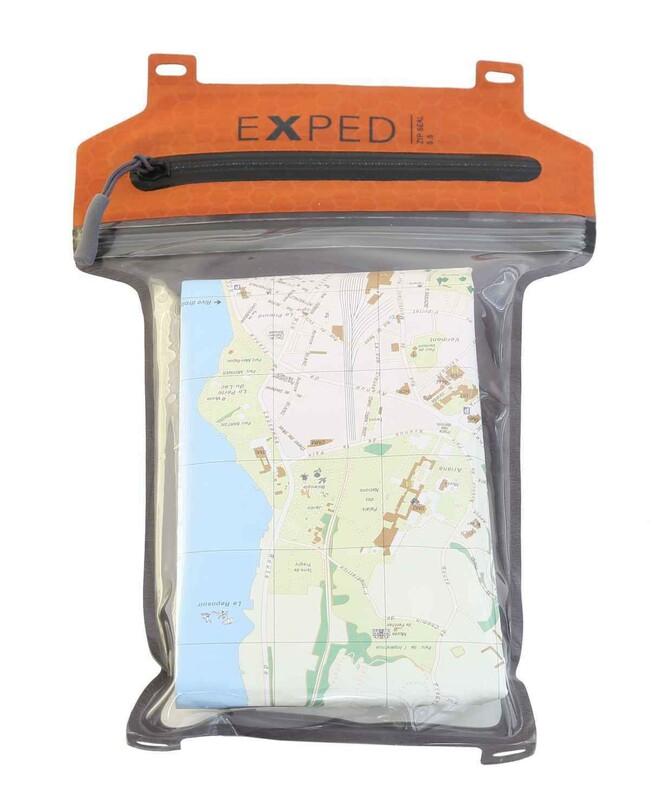 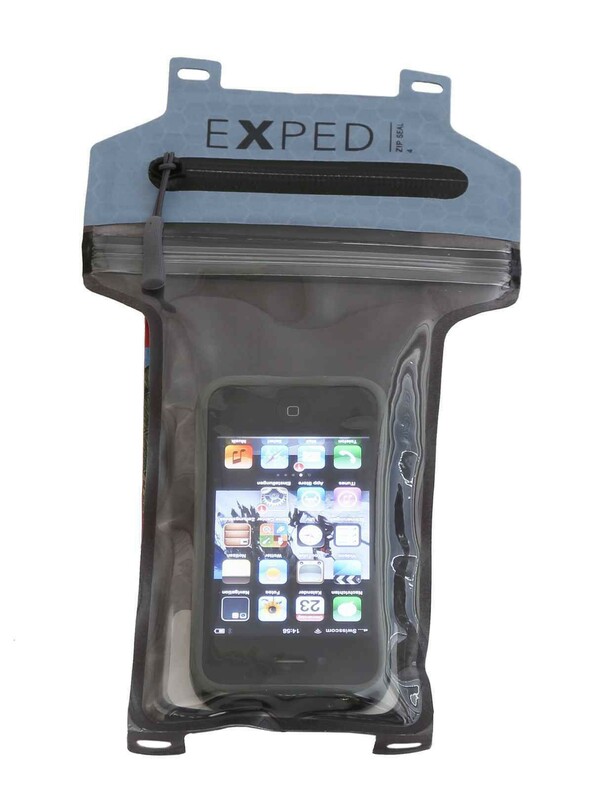 Zip Seal Exped: waterproof and transparent cases. 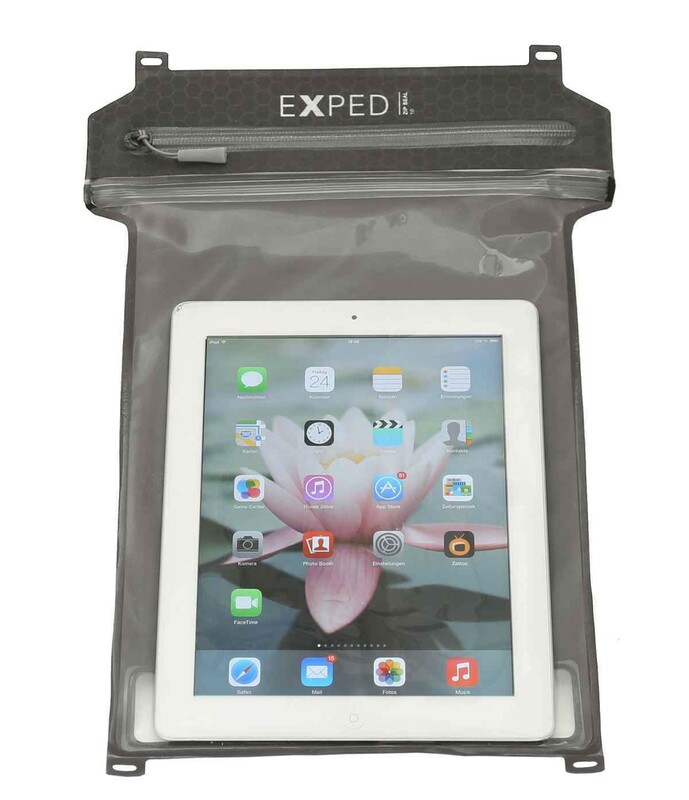 Waterproof and transparent protective pouch. 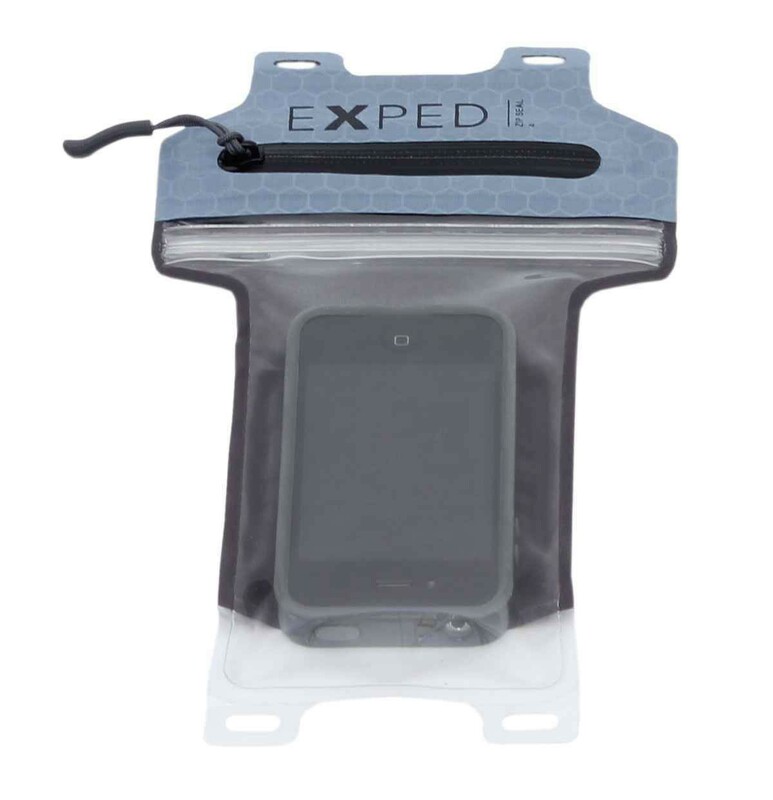 100% waterproof - excellent water and dust protection for electronic gear like smartphones and cameras. 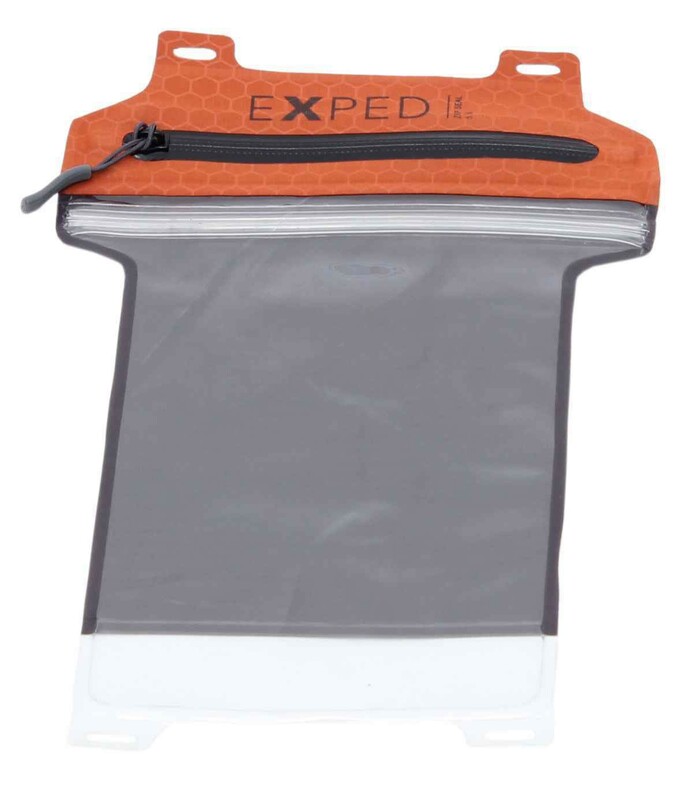 Quick access through combined zipper and zip lock closures. 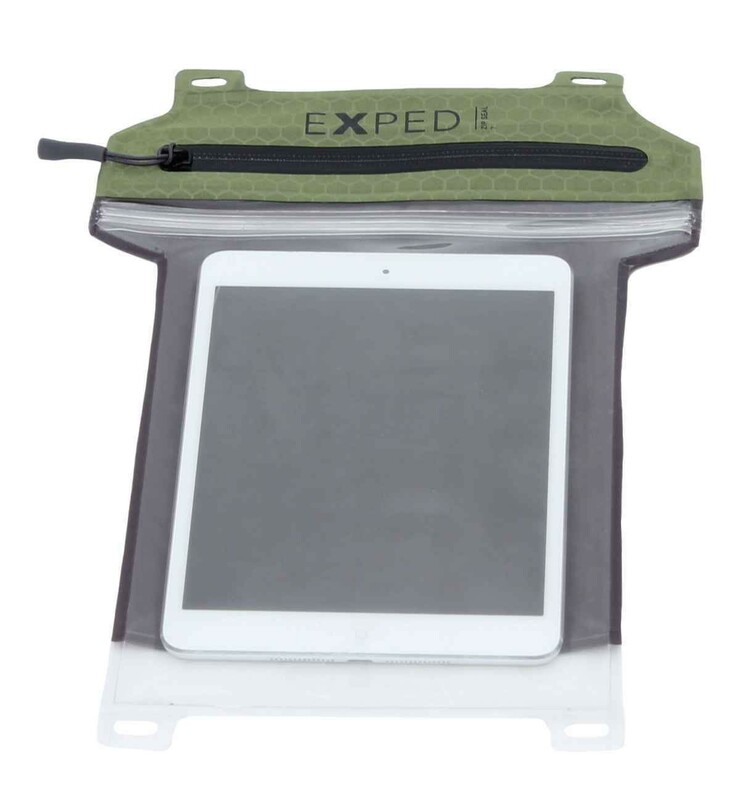 Pliable design for reliable use of buttons, touch screen, microphone and speakers. 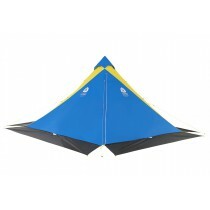 4 lash points and counterloops for ease of use.